With the summer drawing to a close, we thought that we would recommend one beer for the rain and one for the sun. On reflection though, we know that sometimes, we only choose to drink because of what the weather was like outside. We believe that the weather should never influence your decision to drink beer, however, it does have a profound effect on beer consumption!!! We also think a timeless classic like the Whiskey Sour is a great option. Did you know that this is one of the first cocktails ever documented? One of these should be ordered before you start on the beers and, if possible, when you’ve finished! So if you’re finishing work and looking for something to quench your thirst or just chilling at home relaxing, then look no further than these…Enjoy! The Chimay Blue Cap, “baptized’ is a dark Trappist beer with a powerful aroma, the complex flavour of which improves across the years. It was first brewed as a Christmas beer. This beer is the the best of the chimay range, IMO. It is 9% in ABV, but to taste it you wouldn’t think it. It’s smooth, well balanced and really tasty. The beers they produce in this style are smooth and sweet and not like the punchy pilsner style that they produce in Germany that are generally brewed for refreshment. Tryu one of these with a cheese board with honey. Delish! Food Pairing: strong cheese and smoked, salty meats. Grozet was immortalized by such Scots literati as Sir Walter Scott, Jas Hogg. (The Ettrick shepherd) and Robert Burns who considered it a most convivial drink. 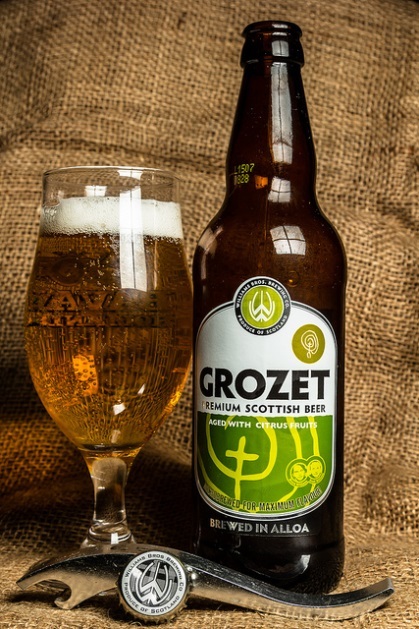 Brewed with lager malt, wheat, bog myrtle, hops and meadowsweet then secondary fermented with ripe Scottish gooseberries. A pale golden beer, with a refreshing fruit aroma, clean palate, fruity wheat flavour and crisp finish. A good beer to try if you drink Carsberg, it has the refreshment with a little more malt and a crisp finish with more interesting hop flavour. Recommended with, light foods, pastas and salads. Drink well chilled in a tall glass. August 25 is actually Whiskey Sour Day but in my book, every Friday should be Whiskey Sour Day!!! A very simple recipe of whiskey, lemon juice and sugar (and further more egg white and angoustura bitters), the whiskey sour is probably the best cocktail out there. Everyone who dabbles in a couple of cocktails from time to time, will have definitely come across this gem. 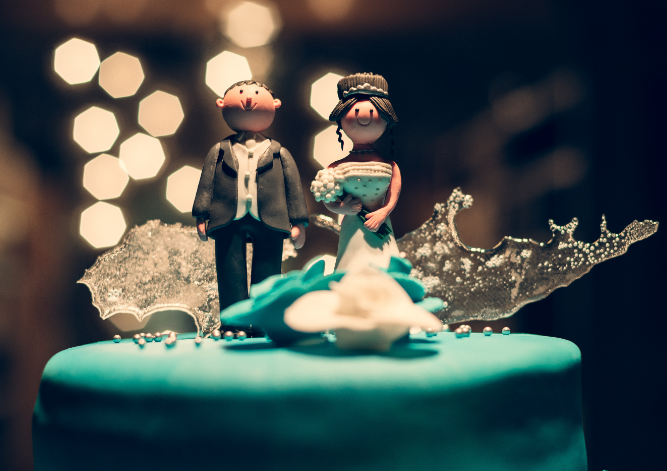 It’s power is relentless, and it’s pleasure is unfounded! I’ve had many around the world with all sorts of varying types of Whiskeys, sugars and recipes and I still feel that Derek Brown’s, a former ely collegue has shon me the best. Come down and critic for yourselves. 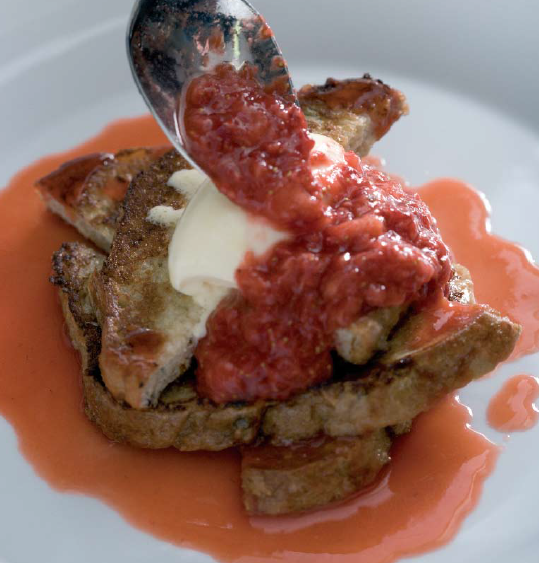 We’ve got two amazing recipes for you in this week’s tips, tipples and table talk. One is a scrumptious Strawberry & Citrus Sangria, which some do say is the wine lover’s answer to strawberry daiquiris and the other, features the 200-year-classic Pernod adding a delicious twist to the classic mussels accompaniment. We also give you a little insight into our old friends and “Craggy Island” neighbouring farm, The Mc Cormacks who now run “Tea at Father Teds”. Up with that sort of thing. Although we’re reaching the end of the sunshine season, we’ve still got one or two summery drinks recipes up our sleeve! Some of you may have had the pleasure of visiting Spain this year but for those of you who haven’t, enjoy this fruity and sweet taste of Spanish Sangria, in only 4 steps and all without having to leave your house. Cut the strawberries, mix with sugar and let sit for 4 hours. Mix all other ingredients in a bowl, cover, and refrigerate for 4 hours. Add ice and fruit, serve and enjoy. Enjoy specialty cocktails at ely bar & brasserie, IFSC, Dublin 1. 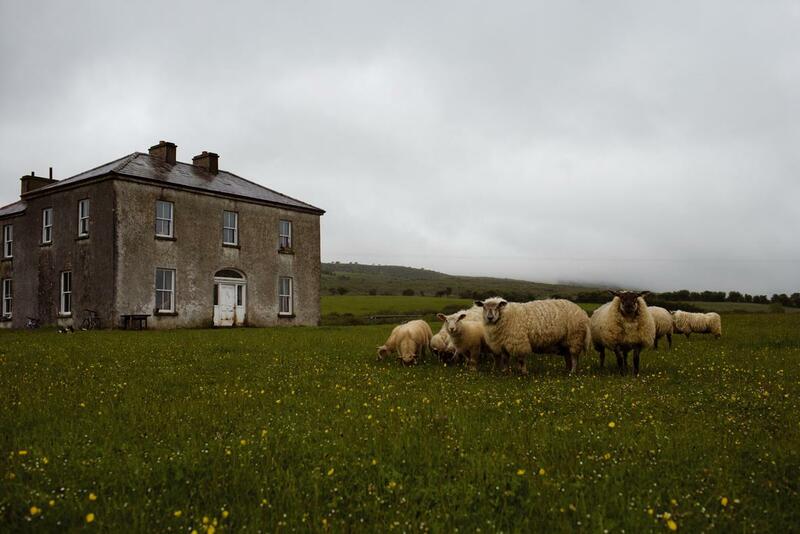 Father Ted’s house is an organic farm neighbouring the ely family farm in national landmark, The Burren, Co. Clare. 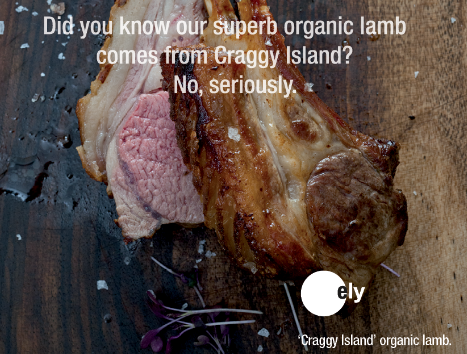 Long time friends of ely, Patrick & Cheryl Mc Cormack supply each of the 3 ely restaurants with their suberb organic Burren lamb. Fans will recognise the house as the location for the extremely popular “Father Ted” television series. Joe Mardis, the location manager for the series, has family connections in the area and while having a drink with friends from the locality they came up with the idea of setting the series in the Burren. The experience was a very positive one for the Mc Cormack family, the show brought a lot of fun and income to the area and many locals featured in the series. 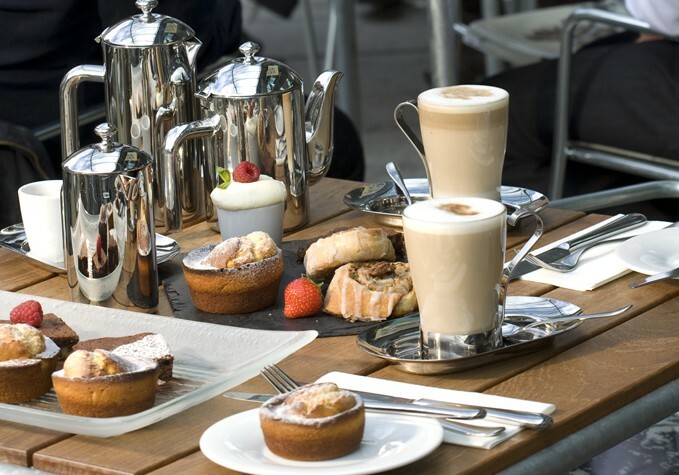 You can now enjoy ‘Tea at Father Teds‘, which includes all home baking using only organic ingredients. Patrick Mc Cormack, a wonderful speaker, tells the story of the family’s Fr. Ted experience, the history of the house, providing guided walks of the farm and recommend other places to visit and things to do in the locality. Learn more about the Burren, Co. Clare and the organic ely family farm here. Adding Pernod, the French liqueur, to traditional steamed mussels gives them a deliciously gentle sweet flavour. This recipe offers a refreshing alternative to the popular dish of mussels with white wine and cream sauce. Scrub the mussels first in clean water to remove the barnacles and pull off any beards. It’s much easier to do this if you take 2 mussels and use the pointed end of one to clean the other. Check if an open mussel is safe to eat by tapping it gently on a counter top. If it closes easily, it’s ok to eat. If it remains open, discard. Prepare the mussels (see note for the cook, above). Sauté the fennel and shallot in a small amount of oil over a medium heat. When they have softened slightly, add the mussels and leave for 1 minute, then add the pernod. Flambé the pernod, then allow the alcohol to reduce. Add the cream and reduce again until the mussels are just coated. Serve in a large bowl garnished with lemon slices, fennel leaves, sprigs of flat-leaf parsley if you like. 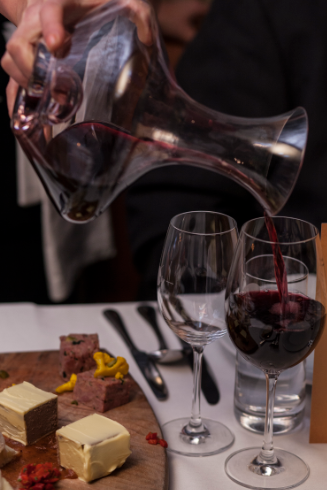 Enjoy fresh delicious seafood in Dublin’s iconic wine bar, ely wine bar, 22 Ely Place, Dublin 2. Craft beers & ely cocktails by Barry Rowan bar manager at ely gastro bar on Grand Canal Square. With these hot summer temperatures in Dublin, the first thing most people think of when deciding what to drink is a throw up between a glass of rose, prosecco or a pint bottle of Bulmers. Hallows and Fentimans Ginger Beer. Look this beer up on websites such as ratebeer.com or beeradvocat.com and it will score horrendously! 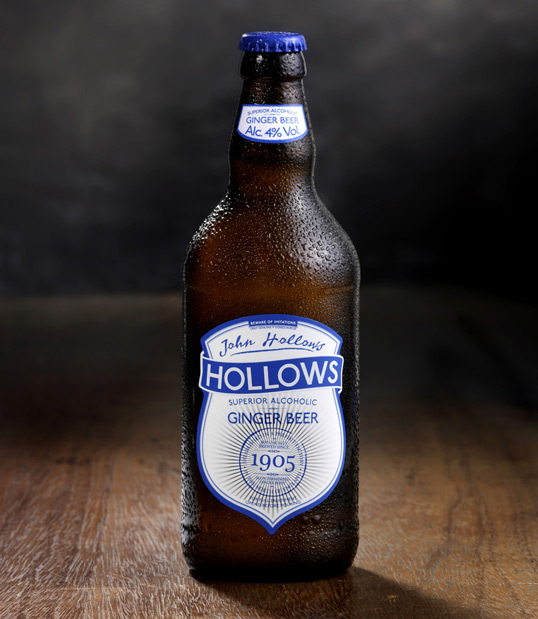 Folks on there have no time for such products such as Hallows Ginger beer. One reviewer called it a sweet “alcoholic ginger lemonade“. They do not consider this to be a beer. I don’t either, it is so much more. I would call this more of an “alcoholic ginger lemonade” than a ginger beer. Served with a glass of ice this is one of the most refreshing drinks out there. The punch of ginger is certainly a winner and served with a slice of orange it will cool you down in a matter of seconds. The Margarita is one of the easiest and delicious cocktails out there. Tequila, Cointreau, lime juice and sugar. The cocktail, served with a salted rim is one of the most iconic, refreshing and brilliant cocktails ever to exist. 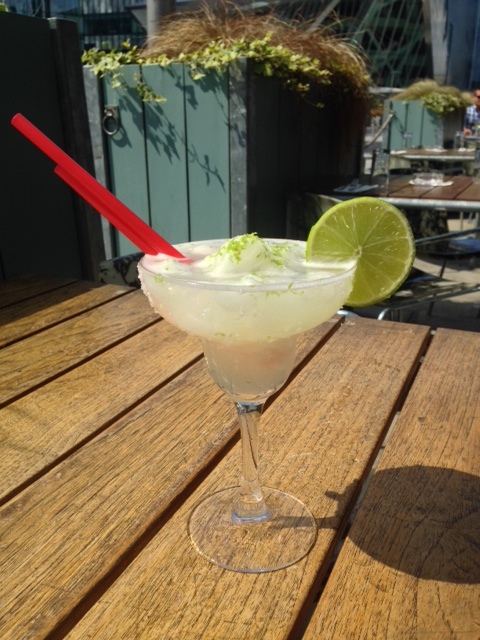 Just pop the lot in a blender, with ice and you have yourself a frozen margarita! We have been selling them at ely by the glass or in 1ltr jugs down here and they have been going down a treat. Order one of these on a hot summer’s day and I swear, you’ll be asking yourself why you’ve never done this before!